Posted on May 18, 2011 by Mia G.
I would always see myself as a thrill-seeker. That’s why it would not be a surprise if activities that promise adrenaline rush from such exhilarating events truly make me salivate. 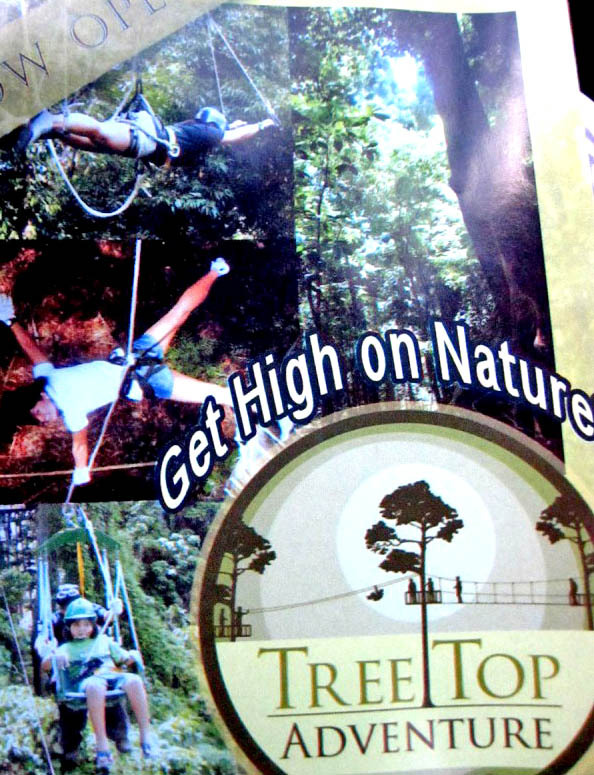 When I heard about Tree Top Adventure in Subic back in 2010, I have decided to make Valentines 2010 a little bit more exciting by trying out Tree Top Adventure. 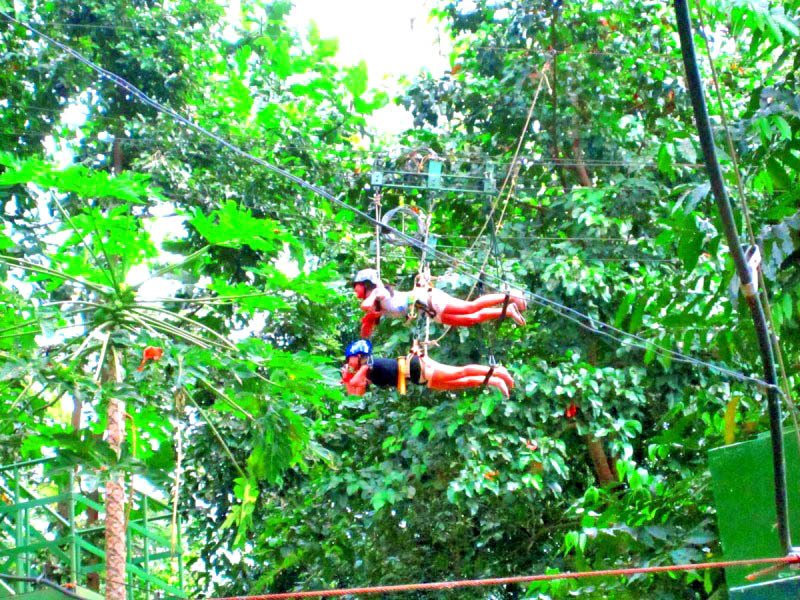 And who else would I try it out with, of course, with my greatest adventure-buddy, Paolo! And so we drove from Paranaque to Subic, with intermittent bouts of overheating in the SCTEX. We thought that bad vibes would engulf our valentine thirst for adventure, but God is good. We made it to Subic in about 4 hours. With happy spirits, we alighted the car, and lo and behold… a queue! We did not quite expect the huge volume of people waiting in queue to try out the different attractions. After a second of rationalizing, yes, the queue makes sense because it was the Valentine Weekend and the Hot Air Balloon Festival weekend as well. But the queue did not discourage us. We were still extra enthusiastic to defy gravity and the excitement of trying something for the first time. We were still able to try out three rides that were very much worth it. From the name of the ride itself, this ride will let you break free and experience for a few seconds how it is to be like Superman! The velocity of the ride is not much frightening, so for those of you who are hesitating to try out this ride, fear not! It’s pretty much like the zipline, only that you have handrails in front of you that you need to hold on to.